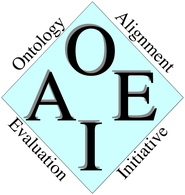 The original version (v1) of the data set, which has been used till 2014 OAEI campaigns, is still available on the SEALS test repository. For accessing it, please replace v2 in the MultiFarm identifiers above by v1. As previous years, in order to perform a blind evaluation, the translations of edas and ekaw ontologies are not available in the current testing data set described above.